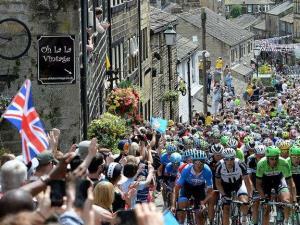 WORLD-famous Haworth Main Street cobbles will feature in this year's Tour de Yorkshire. The fourth and final stage, covering 175 kilometres from Halifax to Leeds, takes place on May 5. Stage four of the race will go through Keighley on Sunday May 5, with riders due to take in Haworth, Oakworth and the classified climb of 'Cote de Goose Eye', before going through Sutton, Glusburn, Cross Hills, Farnhill and into Skipton.